If you operate a lifestyle property or farm and you have equipment you or your employees use on the property, there are some driver licence restrictions you need to be aware of so you can ensure the safety and legality of drivers driving on it. Any person aged 16 or over can drive any vehicle off road with no licence, but not on the road, and this includes even just crossing a road between paddocks. The legal definition of a road is very broad: Any area the public is reasonably allowed to drive on at times, including streets, highways, bridges, beaches, riverbeds, car parks, reserve lands, wharves and road shoulders. This includes the grass verge on the side of the road. Fines start at $400 for a first offence of driving without the right class of licence. If you want to drive agricultural machinery on the road, a minimum of a learner licence is required, and if you want to ride a farm motorbike on the road, the learner licence must be a motorbike learner licence, not a car learner licence. It’s preferred that any employees would have at least a restricted licence so that they can drive on their own in a car between 5am and 10pm. Check that your insurance policy covers drivers of your vehicles and whether there are any restrictions as to the minimum licence required by the driver. It definitely will not cover unlicenced drivers driving any vehicles on the road. If you hire a temporary worker from another country and you need them to drive on the road, check that they have a current driver’s licence from their country (or any other country) as this allows them to drive for 12 months in New Zealand from the date they arrived. If you need them to drive a vehicle that requires a heavy vehicle licence, they must take a test. 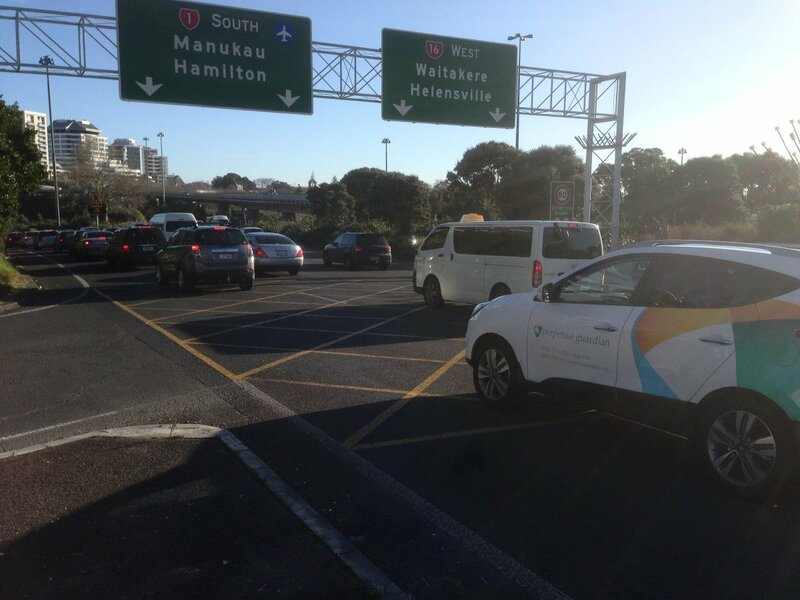 It’s a good idea to run them through this free New Zealand road rules test to check they know important rules like what a yellow line in the centre of the road means. Some machinery, trailers and vehicles used on your property must be registered and others not; check here to find out which ones do need registration. Do you need a heavy vehicle licence? Sometimes the vehicles you need to drive as a landowner or worker mean you need a class 2, 3, 4 or 5 heavy vehicle licence rather than a class 1 car or class 6 motorbike licence. With a full class 1 car licence you can drive a vehicle up to 3500kg and pull a trailer up to 3000kg as long as the gross combined weight (GCW) doesn’t exceed 6000kg; with a restricted licence the GCW must not exceed 4500kg. Note: this is the rated maximum weight of each vehicle, regardless of whether it’s loaded or not. If you transport horses and need a larger truck you might need a class 2 licence for small rigid heavy vehicles or a class 4 licence for larger rigid heavy vehicles. A class 4 licence is required when there are more than two axles. With a class 2 licence you can drive a small truck with a gross laden weight (GLW) of up to 18000kg, or a small truck plus small trailer with a GCW of 12000kg, which is more than enough for horses. Do you need a transport service licence? If you only move goods around your property you might be exempt from needing a transport service licence. You will need a transport service licence if you carry goods, whether or not for hire or reward, using a motor vehicle that has a gross laden weight of 6000kg or more, including one that is ‘on hire’ to carry goods. Call NZTA on 0800 822 422 for any clarification. As New Zealand has a substantial agricultural industry and agricultural vehicles are slow, special dispensation is made for drivers on class 1 car licences to allow them to drive agricultural tractors up to 18000kg GLW or an agricultural tractor and trailer up to 25000kg GCW on the road at up to 40kph. This is more than enough to move vehicles between paddocks. To drive a vehicle of between 18000kg and 25000kg faster than 40kph on the road, you need a class 2 licence or higher, and if you need to drive a vehicle heavier than that at more than 40kph you will need a class 5 licence. Some types of machinery need a forklift endorsement (F) if they are mainly for lifting, or a wheels endorsement (W) if they are for carrying or harvesting (this includes harvesters, pickers, spreaders and anything with pivot or four-wheel steering). What do the licence classes mean? A full list of the licence classes is here. Following are the basic allowances. You can ride a motorbike or ATV. Note that on anything that is deemed to be a road, you must wear a helmet. You can drive small truck/trailer combinations, and any class 2 vehicle. You can drive large truck/trailer combinations, B doubles, logging trucks, trucks with simple trailers, and any class 2, 3 or 4 vehicle. ‹ How do traffic jams form? How do traffic jams form?